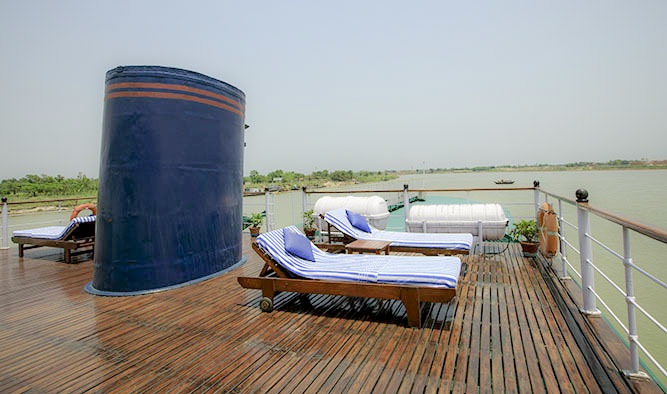 Taking you on a journey beyond the regular travel routine, Heritage River Cruises is proud to introduce the all-suite, Bengal Ganga. This colonial cruise, built in the year 2004, is a replica of the luxury ships that were used by a succession of important officials and celebrities of the day, most notably by the Viceroys of India and the Prince of Wales. Long journeys can be tiring and that’s why we offer plenty of space and activities for our guests to indulge in. Engage in interesting conversations with fellow voyagers or spend some time alone, while witnessing the beautiful flow of the Ganges. 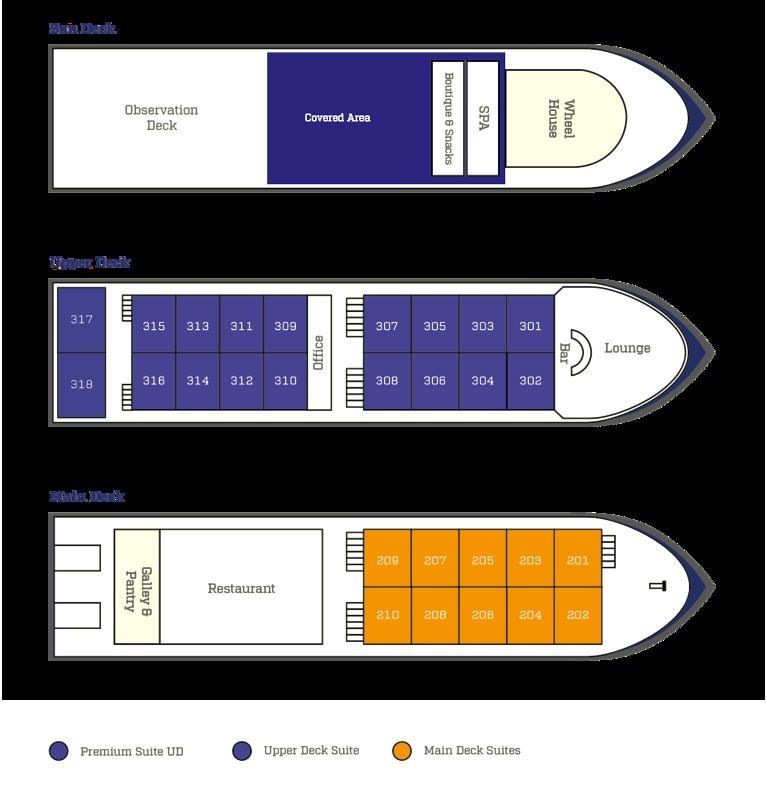 With ample space, all our ships are designed to offer a lavish experience equivalent to that of a boutique luxury hotel. 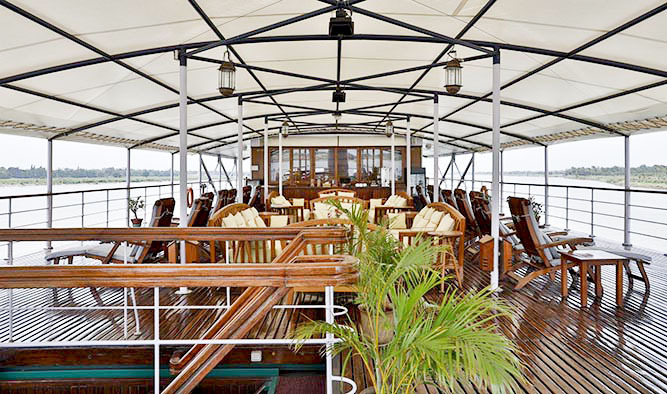 Before booking a journey, take a detailed look at our decks where you will experience absolute comfort and luxury.